oodyear Fierce Instinct ZR tires are an ultra high-performance tire which look good and perform even better. 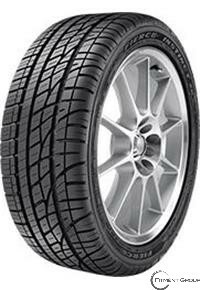 A continuous solid center rib gives the tire excellent stability when going highway speeds. An all-season tread zone contains large tread block edges for wet and winter traction enhancement. Circumferential grooves expel water from between the tire and the road, and the rim protector and stylized black sidewall make the tire look great.